Best to use for vehicles with petrol engine, which specified oil is W30. Applicable for stock specified #w30 grade. 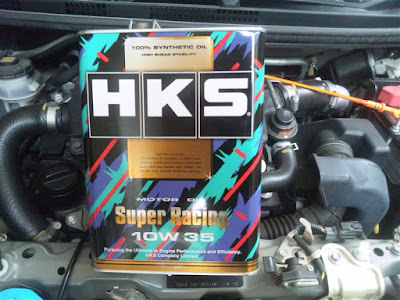 HKS engine oils are developed with an idea of that oil is a tuning part to maximize performance of engine. The unique viscosity categorization will effect at molecular level on boundary lubrication. Optimized oil viscosity selection solves hydrodynamic lubrication. Airtightness and friction are highly balanced. Engine building specialist at HKS now offer 100% synthetic special blend oil. Promotional video for HKS SUPER RACING Oil.